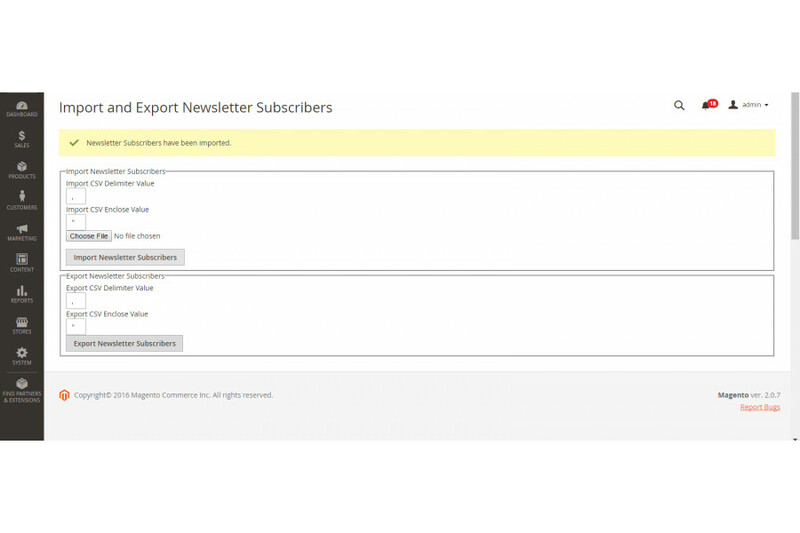 This magento 2 extension allows you to import and export your magento newsletter subscribers in bulk via csv. This magento 2 extension allows you to import and export your magento newsletter subscribers in bulk via csv format. It will import new newsletter subscribers as well as update existing newsletter subscribers and can export all newletter subscriber information. For example you could use this extension to transfer existing newsletter subscribers from either a Magento 1 installation or a 3rd party data source and import them directly into your new Magento 2 installation. It could also be used to update and maintain existing newsletter subscribers and can be very useful for medium to large sites that could have hundreds or even thousands of Newsletter subscribers. 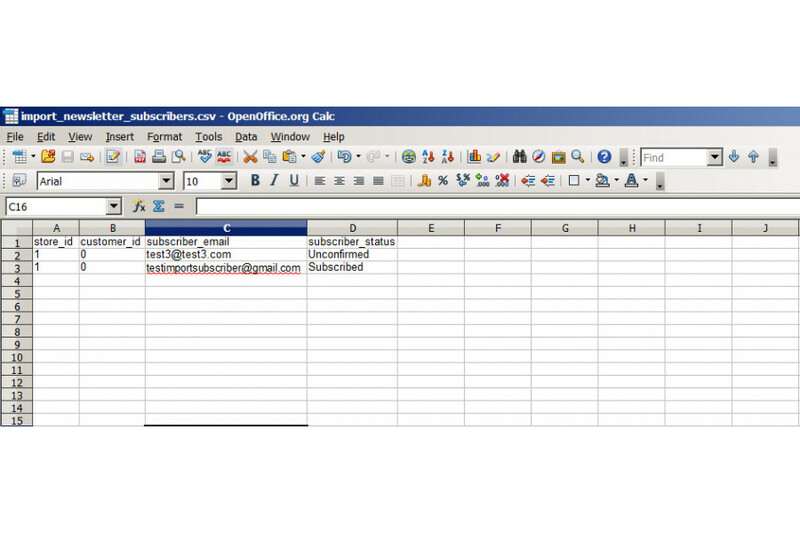 The ability to bulk edit this amount of data in a spreadsheet is the fastest way to manage the data. - Can Set Subscribers to "Subscribed", "Unsubscribed", "Not Activated" , "Unconfirmed"
- Works great on all version of community edition as well as all versions of Enterprise Edition.